Then the LORD said to me, “Even if Moses and Samuel stood before me pleading for these people, I wouldn’t help them. Away with them! Get them out of my sight! 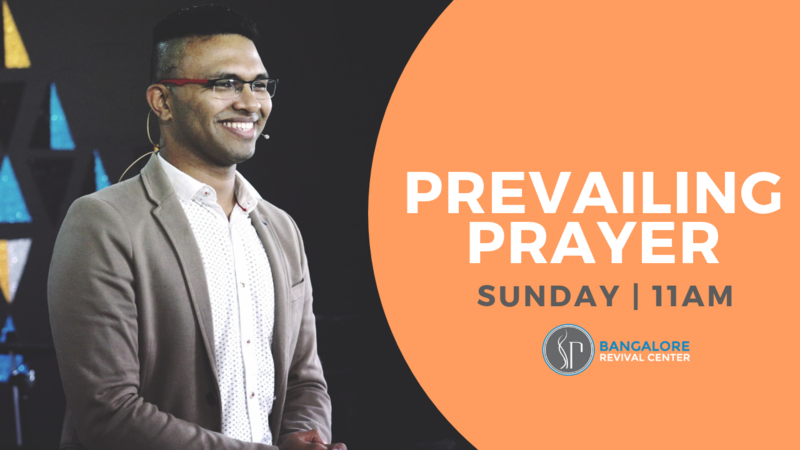 On the 4th day on the study of Intercession, Pastor Priji talks about the ‘Person of Intercession’ that God wants us to be like. God had a very different perspective about Moses and Samuel than what we have about them today. When we look at them, we see prophets, great leaders and awesome men of God. But when God looked at them, He saw them as someone irresistible in their hearts for souls. They were in love to see God answer the needs of His people. Bible talks about how Moses, while he prayed for the Israelites, at one time was willing to be punished and be taken away from God’s sight just to see God spare them. He was willing to give up his own salvation for the sake of 2 million disobedient, good-for-nothing, stiff necked, stubborn people. He was willing to lay down his life for them. Samuel had the same heart. Samuel wept to the Lord an entire night because Saul had sinned against God. Samuel wept and cried to the extent that God had to come down and console Samuel and ask him to anoint another king. These guys knew the love of God and His heart for redemption. They carried a great heart for redemption. They knew that pleading with God was a great principle. They knew this is something that God had called them for. Because of that, God remembered them for their intercession! They were powerful intercessors, but there is one intercession whose power is beyond what we could think and dream of. It’s the Intercession Of Jesus. He is standing at the right hand of the father pleading on our behalf, for humanity, and for you and me. When we fall into sin, Jesus is pleading our case in heaven. So it becomes our responsibility here on earth to imitate Jesus, and plead the case of men and women who are living in sin and continue to rebel against God in their disobedience. We have the example of Jonah who was very distasteful when it came to intercession. He was upset that God didn’t bring the doom that Jonah had prophesied. Jonah should have been happy if he would have gotten a glimpse of how much God loved the place and the people. He would have known how God loves to redeem and give a second chance. When we understand the heart of God, we do also give second chances. When we follow Jesus we try to become like Him, who’s the perfect Intercessor. Being an intercessor doesn’t mean becoming or taking the place of a mediator. There is only one mediator between God and man, only one way to the Father, and that’s Jesus. Nobody has to pray through us to God. But there are a lot of people who don’t know how to pray, who don’t want to pray, or are paralysed. Bible talks about 4 friends who carried a paralysed man into the presence of God, they broke the roof over Jesus and lowered him into the room so Jesus could stretch out His hand and heal. There are many people around us who are paralysed and it is up to us to carry them into His presence. Do we carry a heart like Jesus, Moses and Samuel, a heart that believed that God can redeem anybody and everybody, that nobody is exempt of God’s love, redemption and grace, that everybody is welcome into His presence, that we become a channel that God would use to direct His love?